Many Quickbooks Desktop users think moving to the online version or hosted options will be the natural progression for their accounting needs. This may or not be the case depending upon your company’s specific business requirements. As a leading IT consultant in the greater DC area, our clients ask us frequently for assistance in determining the best Quickbooks solution for them. Let’s take a look at some of the advantages and disadvantages for the three different options with the accompanying pros and cons of each. The Quickbooks desktop version gives the user a high level of functionality. 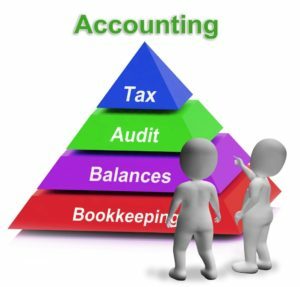 It meets most small business’ accounting needs for a recommended period of about 3 years at a flat price of $250 for standard and between $400-500 for the more advanced Premier. Users rave about the ability to produce a high level of customized reports and graphs, as well as excellent purchase order and inventory tracking features. The program also provides the ability to forecast sales and expenses and to import data from Excel, Quicken, Microsoft Office Accounting and prior Quickbooks versions. The program also provides for simultaneous access to data for multiple users, although companies need to purchase a license for each additional user. Another advantage for small business owners is the opportunity to use the software for multiple business at no extra cost. In addition, the company owns the software and users are not inhibited by slow internet speeds. If your company wants to have multiple users of QBD, you will need a dedicated server in the office or a server hosted in the cloud to maintain your database. Quickbooks Online has some strong benefits including the ability to access it with any internet-connected device and its exceptional ease of use with mobile devices. Company bank accounts are synched automatically with QBO as opposed to the need for manual downloads in QBD. In addition, QBO is automatically backed-up and updated. Critics of QBO complain about its lack of functionality compared to QBD, as it is limited in its production of reports and graphs, only imports data from Excel, and has no inventory management capability. Companies used to any of the high-functioning QBD versions will most likely be disappointed in QBO’s capabilities. The monthly fee of approximately $27 for only one company file will overtake the cost of QBD after 11 months of use. Some companies also do not like the idea of renting as opposed to owning the software with their financial information stored on the Cloud through Intuit. Some users also do not like the automatic update feature as the new features and changes are adopted without user consent and may take time to adjust to before feeling comfortable. 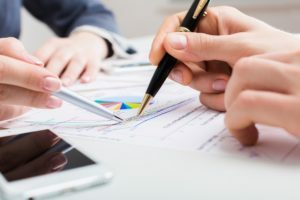 To determine whether QBO is sufficient for a company’s accounting needs as opposed to QBD, a company must make an honest assessment of the functionality they require. Many small companies do not require the high level of functionality of QBD or they might not want to pay the higher cost for Quickbooks Hosted. A company also needs to decide whether they prefer the monthly small payment plan and continuous software updates vs. the lump sum payment three-year version. Intuit has introduced Quickbooks Hosted as a hybrid option where end-users can have their licensed copies of Quickbooks Desktop installed on servers at an approved remote hosting facility. Companies access their software through the internet via a secure connection. Some positive aspects companies report are similar to the usual benefits from using the cloud including: no expenditures on purchase and maintenance of server(s), anytime-anywhere access, back-ups of data and the freeing up of computing space on desktops. In addition, proponents have praised the speed of the program and its QBD-type functionality, the smooth printing ability, and excellent technical support from the authorized cloud service providers. These factors are also related to the service abilities of the providers. Users mentioned challenges involved with Quickbooks Hosted such as additional training for users, some connection issues, and problems with getting technical support help. If your company is considering changing to one of the options described above, we stress that you experiment first with the new option before switching to ensure that it is fulfilling your company’s accounting needs.